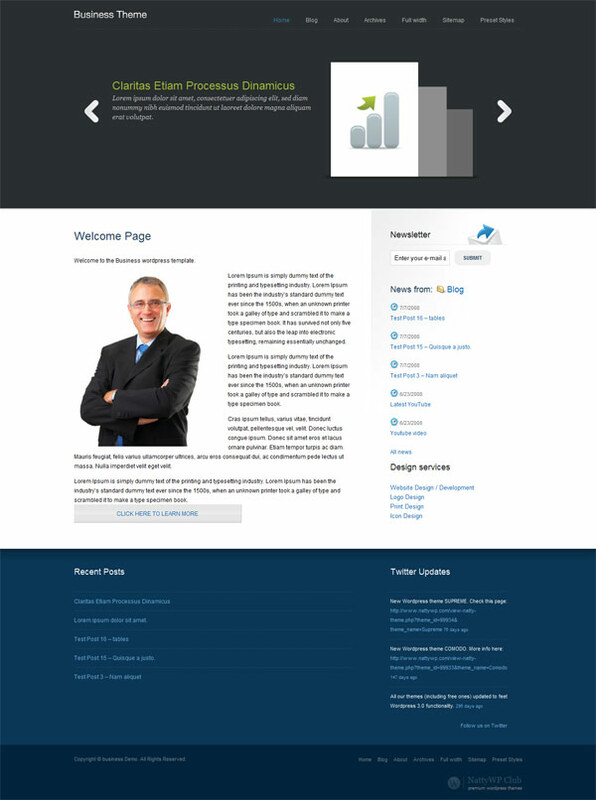 The Business wordpress theme is an unique CMS template for wordpress, it is supplied with 7 additional widgets, and multiple additional color schemes. The module for color managing will help you to change the background color and color design of one or few blocks, which will enable you to create a unique color design thus making your site memorable. The theme has a featured news slider lets you display the most important information on the main page of your site. 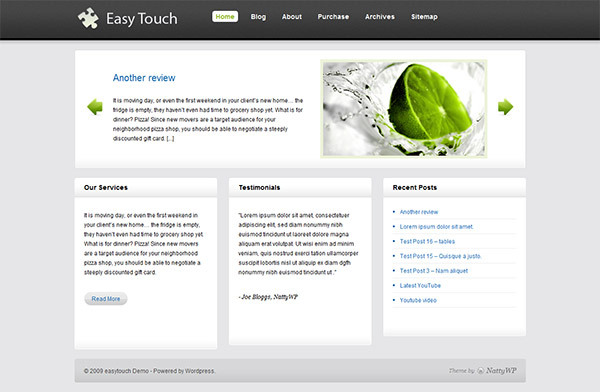 Easy navigation will help to get immediate access to the most useful information. It uses page-based homepage which enables you to control all of the content on the homepage, you can also choose whether the full post should be displayed, or it would be a short outlay. 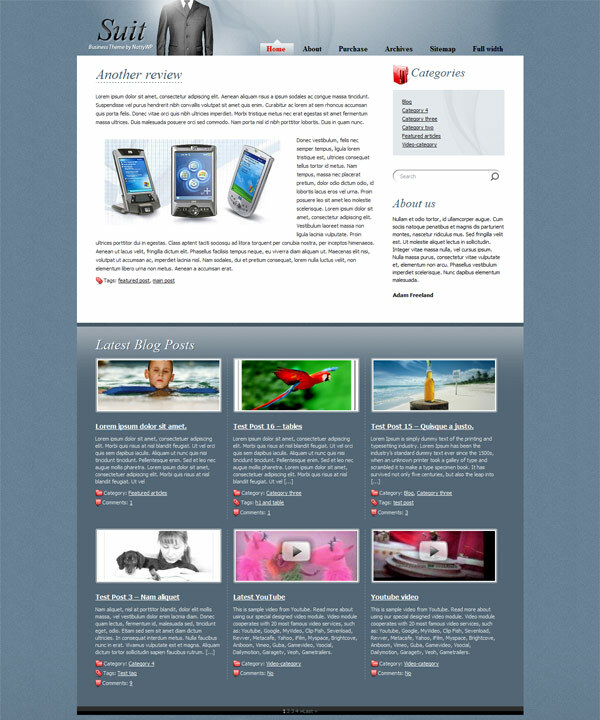 There is a separate Blog category for a corporate blog that is independent from the corporate website for example. You also get convenient Site Statistics, Banner and Adsense management, SEO Optimised Layout with custom SEO settings and more useful features for your business website.